Anna joined our Wills, Trust + Probate team in September 2012 and is based in our Kingswood office. Anna specialises in will drafting, inheritance tax planning, estate administration, Lasting Powers of Attorney and trust creation and management. She is a full member of STEP, Solicitors for the Elderly and the Law Society Probate Section. 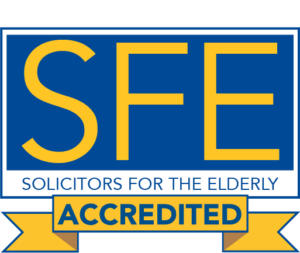 She also holds the STEP Advanced Certificate in Will Preparation and has been awarded the Older Client Care in Practice (OCCP) award by Solicitors for the Elderly. Anna is a passionate campaigner on dementia issues; a trained Dementia Friends Champion and volunteer with the Alzheimer’s Society, she is also a Trustee of Bristol Dementia Action Alliance. I found Anna Molter a very pleasant + friendly person to deal with, she was also very efficient.